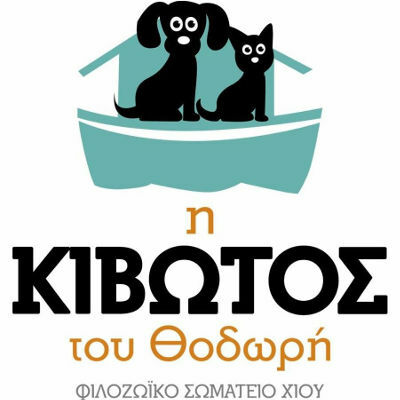 Kivotos of Thodori is a voluntary animal welfare association which maintains shelter with stray dogs on private property we have been granted the village Thymiana of Chios. The shelter is currently hosting more than 95 dogs and 150 total daily with continuous struggle and effort made by the four volunteers who constitute it. Also voluntary help offered to stray kittens are hosted on volunteer’s houses. Our association is of course legitimate elected to the Board and has about 1.5 runtime. Ιn cooperation with the Association of Animals of Chios denounce cases of abuse , participating in workshops and information campaigns for animal rights , promotes and organizes events with puppies for adoption and strengthening of the association. During its operation over than 250 stray dogs and several cats have found families in and out of Chios (Athens , Thessaloniki, Oinousses). We cooperate with four vets on the island and without the donations and support of the world would not have done it. We thank them from our heart! We need you all around us in our effort !